Using NASA's Spitzer Space Telescope, a team of astronomers led by Professor Dan M. Watson of the University of Rochester has observed the onset of planetary-system formation, a process nobody has seen until now. The group's exciting first look at the creation of an embryonic solar system yields many new insights about the physics and chemistry of evolving astronomical objects. Wilson Professor of Optical Physics and Theoretical Physics Emil Wolf is one of the top 1,000 scientists of all time. Or so states British archaeologist Philip Barker and former President of the The British Society for the History of Science Ludmilla Jordanova in a 1999 book called, appropriately, Top 1000 Scientists: From the Beginning of Time to 2000 AD. 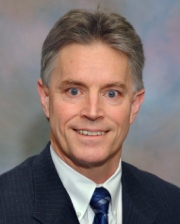 It is a fitting tribute to Professor Wolf, who has long been considered a world authority in Optics. His latest book is Introduction to the Theory of Coherence and Polarization of Light, which will be available in September 2007 from Cambridge University Press. 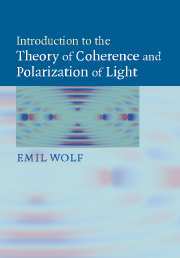 This book is the first to present a unified treatment of coherence and polarization, and it is expected to be of great interest to graduate students and researchers in Physics, Optics, and Engineering.